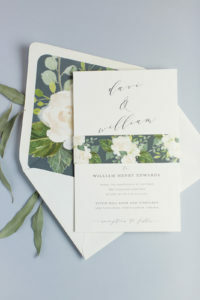 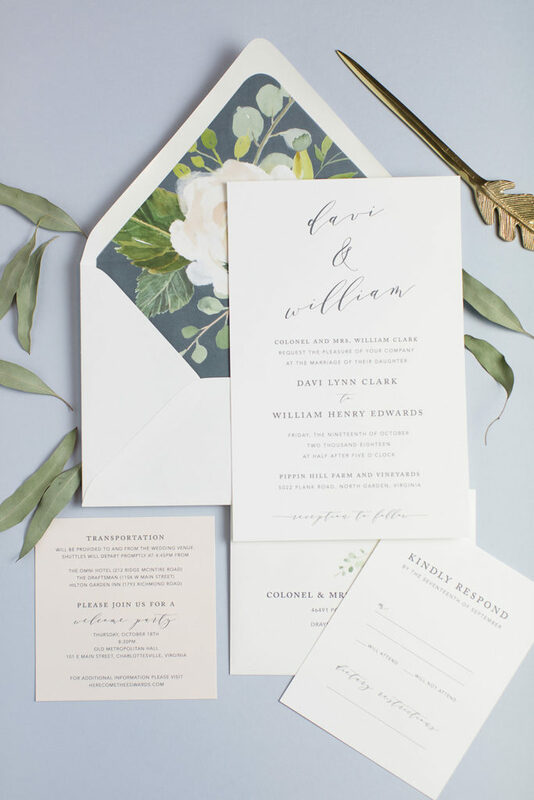 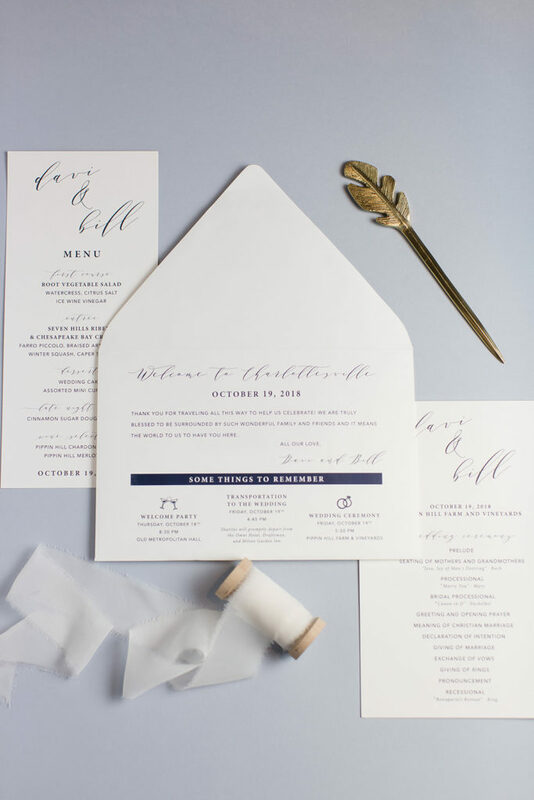 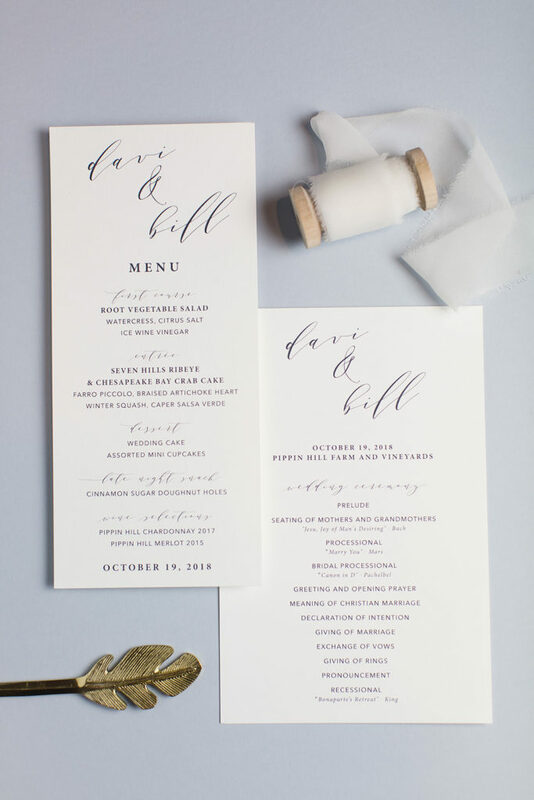 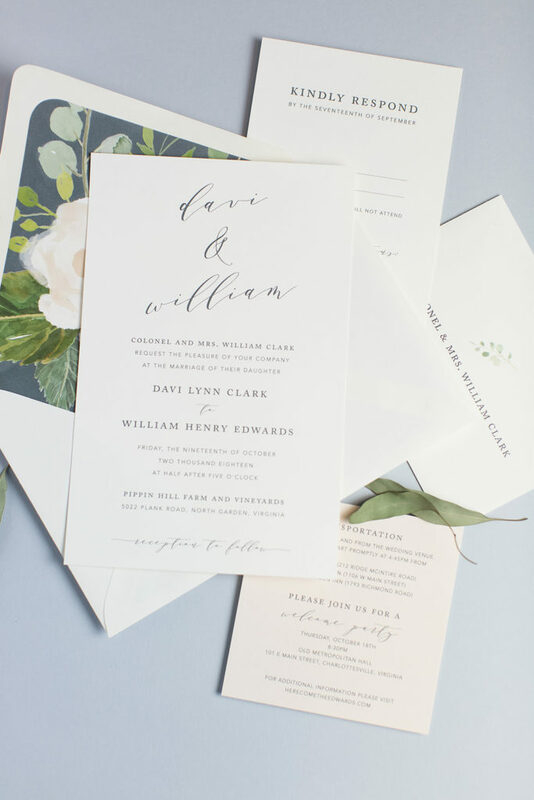 Davi and William’s stunning wedding invitations are the perfect example of how easy it is to customize a Smitten on Paper wedding invitation to suit your unique taste. 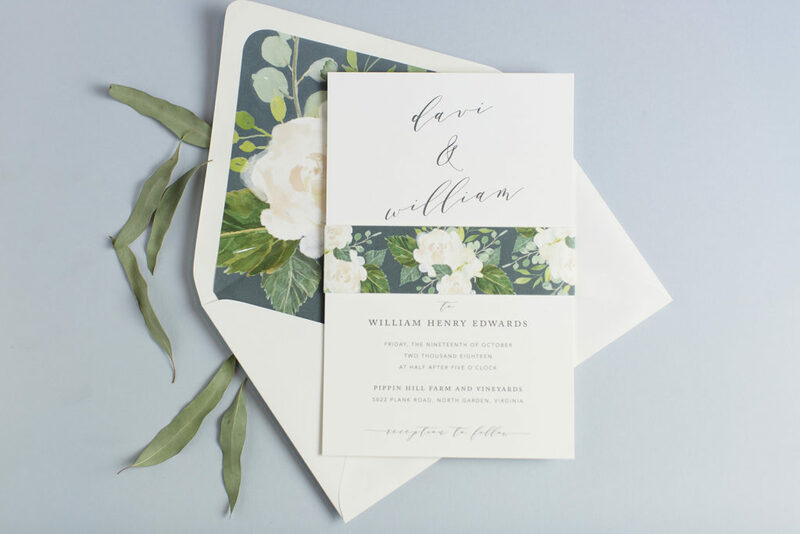 Davi chose to change the background color of the beautiful floral pattern, use the script heading from one design, and the layout of another. 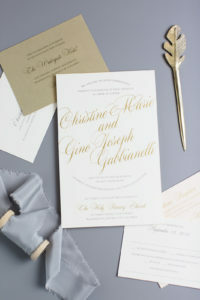 We were so thrilled with how beautifully these came out! 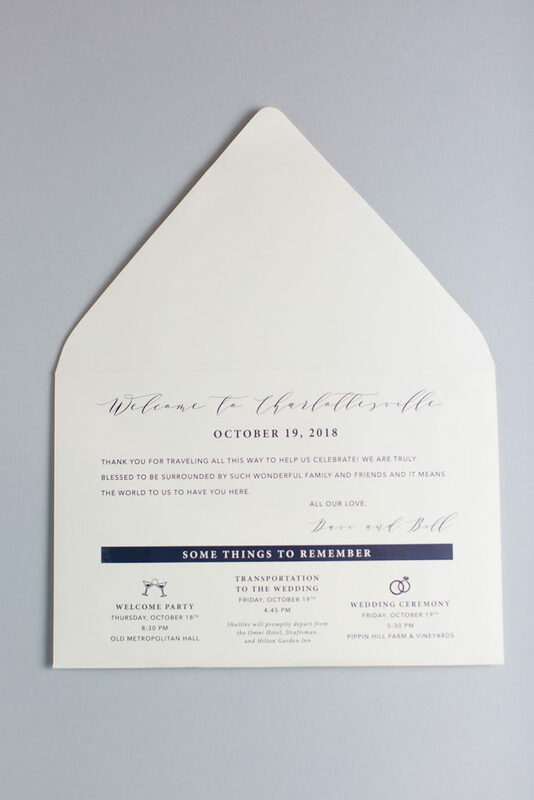 We used similar colors and fonts to create ceremony programs, menus, and this envelope that serves the purposes of a welcome note, a weekend itinerary, and housing travel brochures for out-of-town guests. 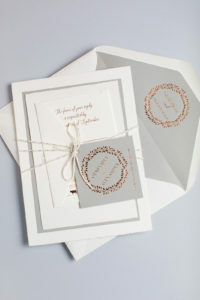 Thanks, Davi & William, for allowing us to be a part of your special day at Pippin Hill. 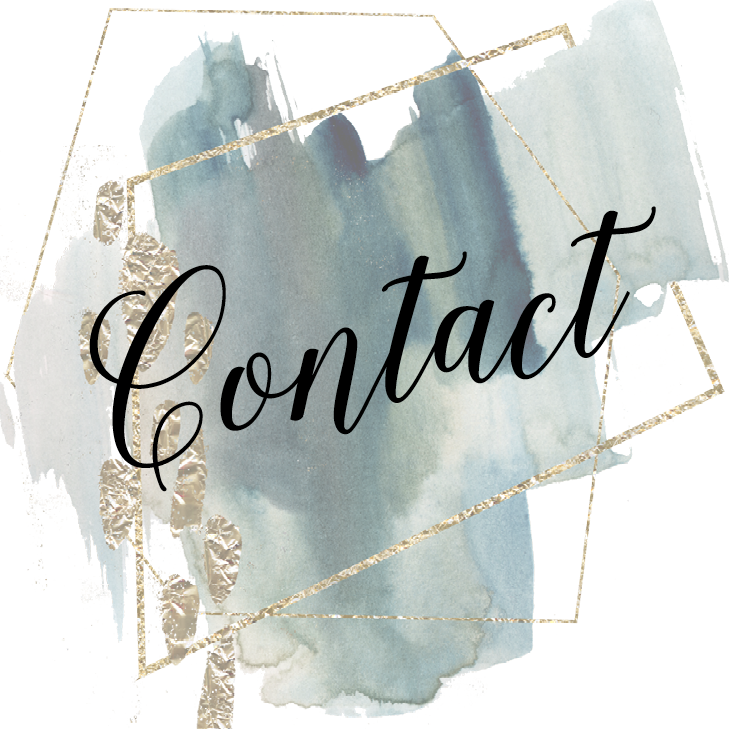 It’s obvious that Kelly genuinely cares about her work and that she enjoys helping her clients from start to finish. 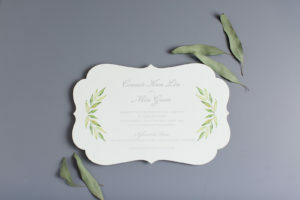 She took so much stress of my shoulders and I highly recommend working with her.